Productivity “hacks” make me roll my eyes . There. I said it. And yet….I still click on every single article that tells me it’ll take seconds(!) off my time spent admin-ing, managing or otherwise running my business. I love the idea of being organized. The reality…not so much. That’s probably why I’m such an easy target for these grand statements about time-saving. I’ve got three kids, aged six and under, a husband aged…yeah, he wouldn’t appreciate me sharing that, and a business to run. Oh yes, and recently I’ve taken on the running of a fin-tech company. You know, because I wasn’t busy enough before. Corinne asked me to share my newly-discovered tips and tricks with you all. After squealing with delight and excitement (and, not going to lie, being a little star-struck), I pulled together my 3 favourite LSP.expert features to up my productivity. I think this may be my favorite LSP.expert update of all time (spoiler alert: I’ll probably say that about all of these.) I am all about maximizing my time, but I’ve also realized listening to the TED Radio Hour while I’m driving is about the height of my multitasking skills, so I’ve started blocking out time in my calendar, to allow me to focus on one task at a time. The ability to sync my Google Calendar with LSP.expert has been a real game-changer. Not only can I now sync my deadlines so I have a clear idea on how I’m progressing, but it’s also an important planning and decision-making tool for me. I can’t be the only translator out there who says to themselves when contacted about a new project, “Hmmm, I’m not 100% sure of my availability next week, but I’m sure it’ll be fine…” Cue: It not being fine. This gives me a much more reliable picture of my capacity. Towards the end of last year I coordinated one of the biggest jobs (so far) in my career. It had many moving parts and a short deadline. Normally, that would seriously stress me out, especially figuring out everyone’s rates and ensuring prompt payment. I don’t know about you, but when I’m worrying about something like that, it really affects my productivity. This time though, I used LSP.expert to create expenses for all my outsourced tasks, from the company I used to prepare and format the (complicated) file for translation, through to my assistant’s time for organizing it and, of course, including the costs of the translators and proofreaders. My own productivity increased significantly…and my stress levels plummeted! Like most translators I know, I’m a sucker for reference material. 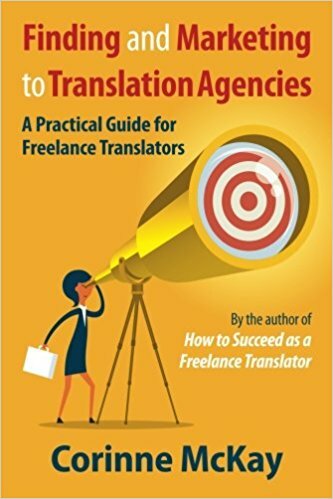 Background research, terminology sites, podcasts, MOOC courses and previous versions of the translation form the basic, pre-translation list for me. I feel that this extra grounding in the topic speeds up the process as I’m not starting the research when I’m in the middle of translating. You know what doesn’t speed it up though? Trying to find all this carefully researched material. Until recently it’s variously been bookmarked on my browser, saved in various files, printed off and kept in a “safe” place….you know the drill. For the past few months, though, I’ve been using LSP.expert to store all this information centrally for each job. I upload from either Google Drive or my computer (though you can use Dropbox or OneDrive too) and it’s been so handy having them all in one place. Extra productivity points for clearing them off my own system once I’ve uploaded them! I could end this blog post by posting a photo of me lounging by the pool relaxing, given all this extra time I’ve created for myself by being so productive. But 1. I don’t have a pool and 2. Let’s face it, we all find extra tasks to fill our time! That said, using LSP.expert with a focus on my productivity has given me considerable peace of mind on three issues that concern most great freelancers I know: availability, expenses and ensuring quality. P.S. (Hmmm, does one include P.S. in a blog post? Oh well.) In case you were wondering, LSP.expert also lets you create invoices and quotes in just a few clicks and, for reporting geeks like me, there are also a ton of cool reports to give you insights into how efficiently (and profitably) your business is really running.” Happy geeking! This article certainly picked my interest. Thanks, Jo and Corinne for sharing!